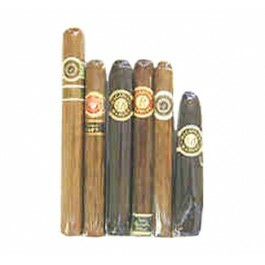 Macanudo is one of the best selling cigar lines in the world. This tasty Macanudo cigar sampler will put cigars from all their lines into your humidor. 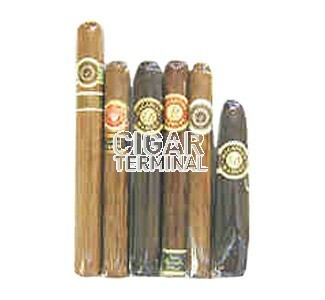 Macanudo is one of the best selling cigar lines in the world. This tasty Macanudo cigar sampler will put cigars from all their lines into your humidor. You get: 1 Gold Label Golden CT Shade Wrapper, 1 Vintage Cabinet Selection, 1 Maduro Hyde Park (5 1/2 x 49), 1 Cru Royale Robusto, 1 Cafe Duke of Devon (5 1/2 x 42) & 1 Robust Duke of Devon (5 1/2 x 42). Specific cigars included may change from time to time based on current availability, but only equal or better substitutions will be made.